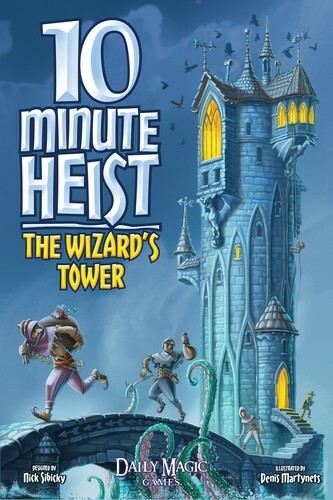 10 Minute Heist: The Wizard’s Tower is exactly the type of game that I enjoy playing. Decisions are deep – yet not guaranteed to give you the results you want 😉 This game will be a filler for many a gaming table, but I appreciate the simple mechanics that effortlessly lead to complexity. It is a lot of game in a small box. That makes me happy. If you like the elegance of Kingdomino, or the addictive replayability of Star Realms you will like Nick Sibicky’s little gem. If you are an educator or a parent of children learning addition. This is exactly the type of game that should be brought out every week in your classroom or home. It is fast and graphically stunning. Nick Sibicky is a fan of the oldest and perhaps greatest game: Go. Check out his youtube channel here.